Two Youngstown State University faculty members travelled to Ghana in February to continue YSU’s efforts in expanding international outreach. Jeff Tyus, a YSU communications professor, made the journey with Ann Gardner, assistant director at the International Programs Office. Tyus visited Ghana last year to recruit students on his own. 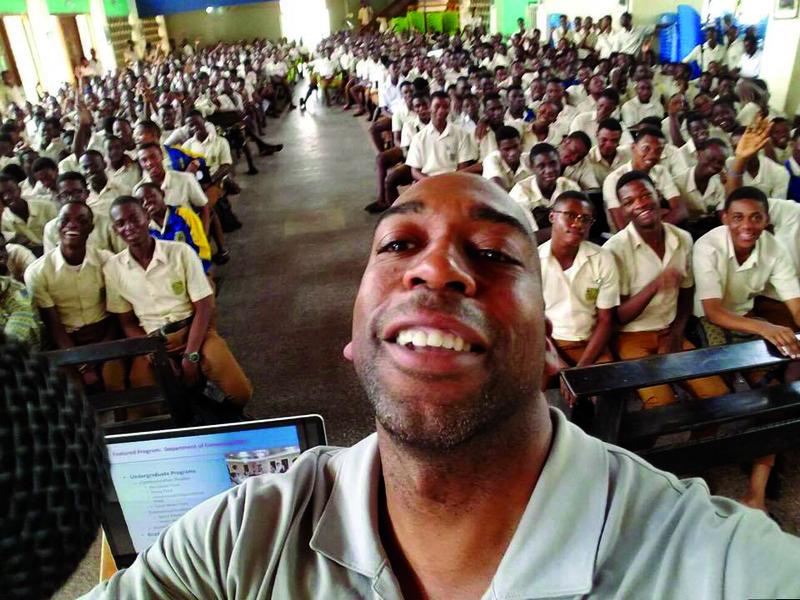 Together, they reached about 3,000 students from about seven different high schools and the U.S. embassy over a seven-day trip. Most of the students were in high school and those from the embassy were considering going to graduate school in another country. 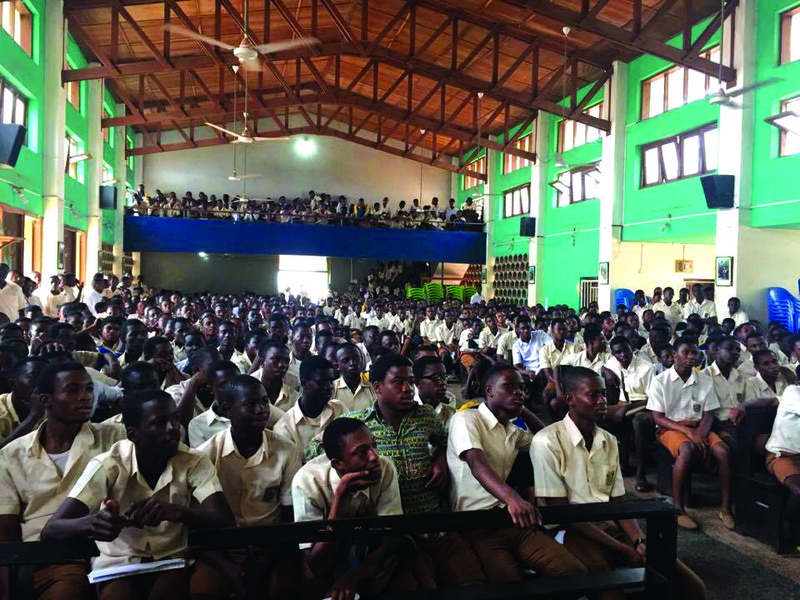 The outreach promoted YSU as a brand and programs such as economics and mathematics that Ghanaian students are already doing on campus. They also promoted YSU communications and business programs. “We also highlighted other STEM programs, because there [are] some opportunities for the students to gain employment in a STEM related field and actually work in the United States for several years after they graduate,” Tyus said. Tyus said many visas allow students to attend school, but require that students return home after graduation. The STEM programs would allow those students to stay for several more years. The only aspect of the trip that did not go well was outreach to female students, Tyus said. In Ghana, many schools are separated by gender, and for this trip Tyus and Gardner were mostly only able to reach male high schools. Gardner said the outreach was successful based on follow-up emails from inquisitive students, but it’s too soon to tell how many Ghanaian students will apply to YSU. Last year, six recruited Ghanaian students started the application process and another two students will start classes this fall. “I’d be happy if we had 30 students, or even 10 students apply [next year]. You’ve got to start somewhere,” Tyus said. Tyus said he hopes students will return to Ghana and tell others about their experience at YSU, which may lead to more people applying. Gardner said Ghanaians value an American degree. 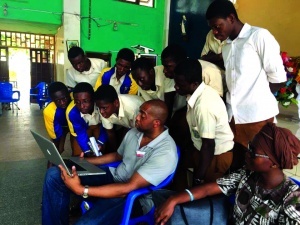 “It’s seen as prestigious in Ghana, and will help elevate them in their career in Ghana,” Gardner said. Nathan Myers, associate provost for International and Global Initiatives, said physically traveling for recruitment is essential. “The trips are absolutely vital to maintaining our current enrollment and building on it for future growth,” Myers said. Myers said YSU has more than 50 countries represented on campus and the outreach for more international students will continue. There are about 325 international students at YSU, an increase from the past few years. Although there are no plans to return to Ghana right now, Tyus and Gardner said they would be happy to make another trip next year.